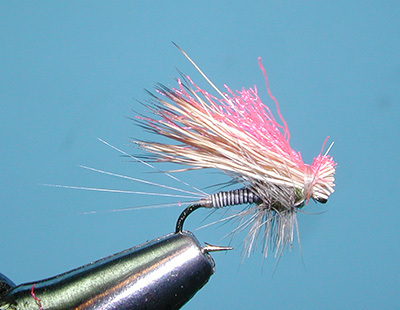 Notes: Rene Harrop designed this pattern during the 1980's while he fished the Firehole River. Mayflies were hatching and he didn't have a good imitation. 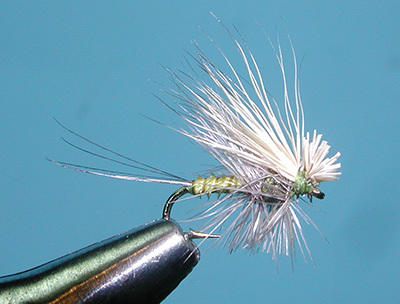 He selected an Elk Hair Caddis, clipped a few fibers, and found that the modifications allowed him to start catching some fish. 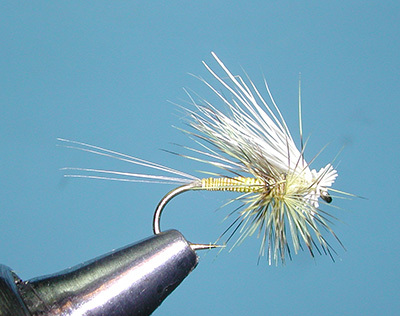 Rene is a reknowned fly designer and taking this experience back to his fly tying desk, he tried some additional modifications from the Elk Hair Caddis such as split tails, clipping the bottom of the hackle and covering only the thorax portion of the body with the hackle. He shortened the wing and tilted the wing upward. 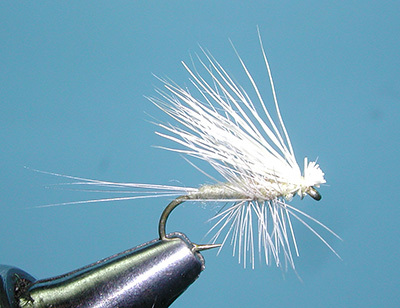 By changing the hook size, dubbing coloration, hackle, and wing material, he could adapt this pattern to a number of mayflies such as the Blue Wing Olive, Brown Drake, Adams, Hendrickson-Quill Gordon, Light Cahill, Pale Morning Dun, and Trico. 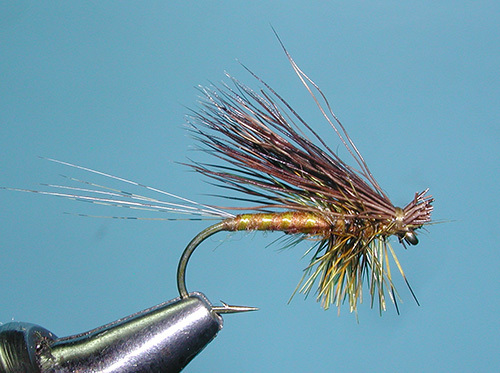 The Western Green Drake was also in the mix. 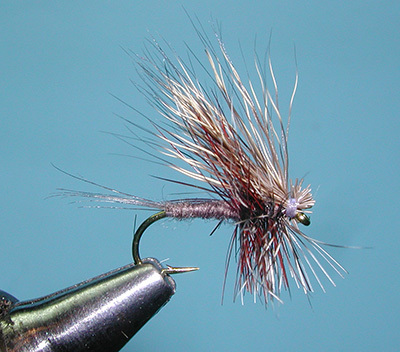 Currently, Rene tends to tie this pattern using Turkey Biots for the abdomen in a number of colorations, keeping the abdomen thin and sleek with notable segmentation.